This is a game that sends a message: Video games have something intelligent to say about contemporary military conflicts. 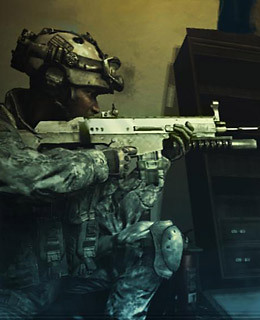 In Call of Duty: Modern Warfare 2, you hop around the globe, chasing the front lines of globalized, asymmetrical combat, where not everybody wears uniforms, war isn't always declared, and the battlefield isn't clearly marked  battles rage through suburbs, airports and people's living rooms. There's tons of raw, riveting military action in Modern Warfare 2, but it's very much about how the game has changed: limiting civilian casualties and figuring out whom to fight and why are just as important as staying alive. See the latest video game news and reviews at Techland.com.